MobileTC - Android is an operating system that is currently most widely used by people around the world. Android users ranging from children, teenagers, and also adults. HP android usually used by children to play games all day. 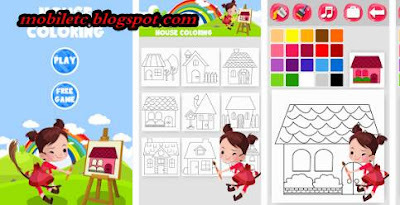 Applications and games can be freely downloaded at Google Play Store, with a great selection of applications as a parent could be the application you can download coloring in order to later children can play while learning with ease. It's her some coloring games for kids and adults in android, hp may be useful to you all.